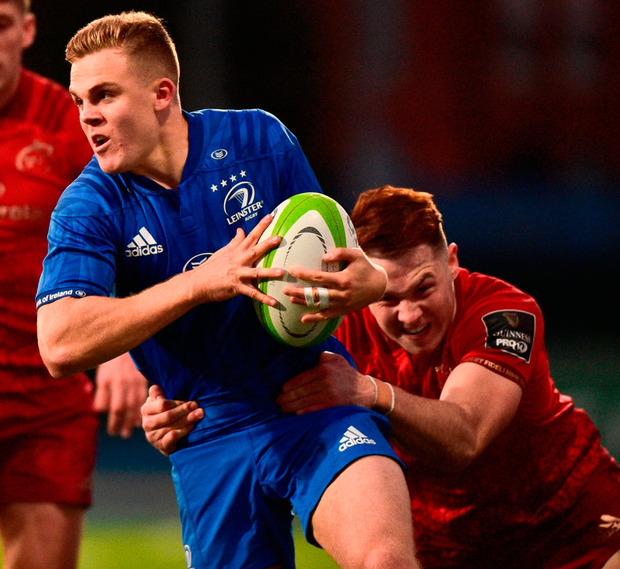 Leinster will represent the Irish provinces by earning a place in the Celtic Cup final on the night Tyler Bleyendaal made his return to the game for the first time since February at Energia Park. The home side couldn't have wished for a better start as a shocking pass allowed Jimmy O'Brien to kick ahead where Dave Kearney's speed made all the difference to ground the ball after 40 seconds. Munster were not that unsettled, wing Seán French testing out Jack Kelly in the tackle before a scrum penalty enabled Bill Johnston to shoot three. The out-half was back for more when Scott Penny was binned for illegal work close to his own line, making it a one-point game. 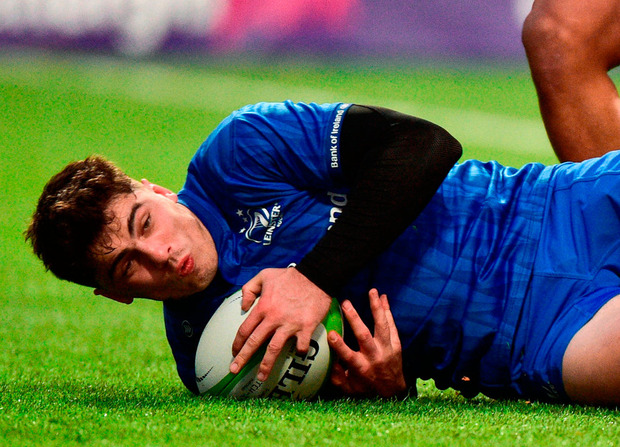 The see-saw nature of a physical contest continued but Penny's try helped Leinster to a 15-11 half-time lead. Penny picked up his second try ahead of French striking back before Bryan Byrne, from a maul, and Hugh O'Sullivan, from prop Vakh Abdaladze's inside pass, had Leinster 34-18 ahead in the 55th minute and well on their way. Adam Byrne and Jimmy O'Brien added further tries late on. Leinster 'A' - J Kelly (capt, M Silvester 48); A Byrne, J O'Brien, T Daly (C Frawley 70), D Kearney; N Reid, P Patterson (H O'Sullivan 45); P Dooley (E Byrne h-t), R Kelleher (B Byrne h-t), V Abdaladze (J Aungier 70), R Molony, M Kearney, J Murphy (M Deegan 45), S Penny, C Doris (O Dowling 59). 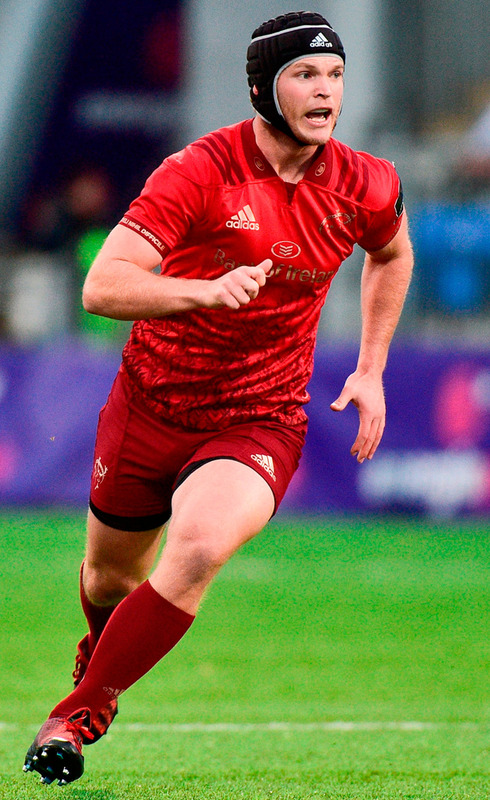 Munster 'A' - L Coombes; S French, S Daly, A McHenry (T Bleyendaal 52), A Wootton (C Phillips 66); B Johnston (capt), J Stafford (C O'Doherty 76); J Wycherley (C Gleeson h-t), D Barron (K O'Byrne 44), J Loughman (K Knox 71), F Wycherley, D O'Shea, S O'Connor (P Kelly 76), G Coombes, D O'Callaghan (D Walsh 44).